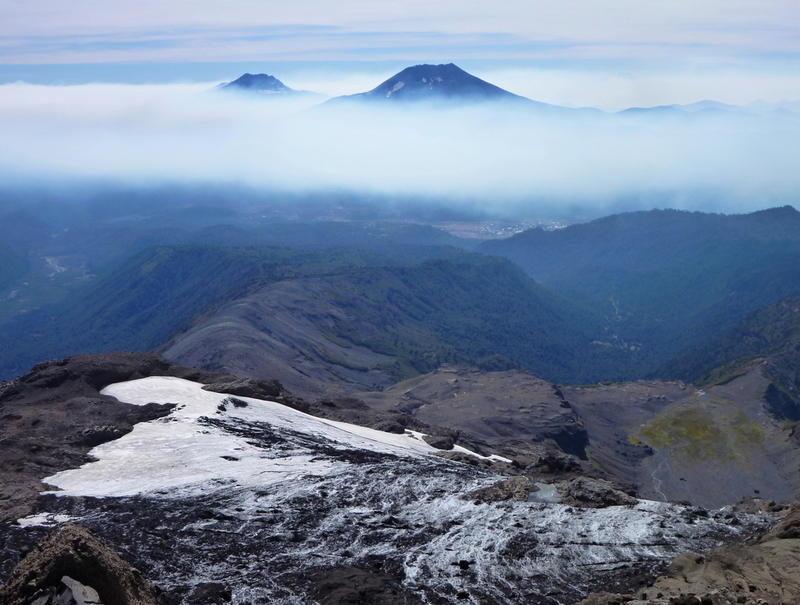 The resort is located on the south east side of Lonquimay volcano, covering an area of 2,540 hectares free of gullies and rocks. The resort has a 550 metre long drag lift and pistes for skiers of all levels. The hut offers food, equipment hire, guides for excursions and transport in snowcar from the parking area to the pistes. The Centro de Esquí Volcán Lonquimay hut, 41 km. from Curacautín, offers accommodation. Access is either via Temuco and Lautaro or via Victoria to Curacautín, Malalcahuello and Lonquimay. The distance from Temuco to Malalcahuello is 118 km. on paved roads. From Malalcahuello to the ski centre is 10 km. of gravel road. The ski season opens at the beginning of July and runs through to the middle of October. The Ski Resort is on the southeast side of Volcán Lonquimay where there is an area of 2,540 hectares, free of rocks and gullies. The center has a 550 meter long drag-lift and slopes suitable for skiers of all types. There is food available in the hut, equipment hire, guides for excursions and transport to the slopes by snowmobile. You can stay in the hut at the Center, which is 41 km from Curacautín.Access to the Center from Temuco is via Lautaro or Victoria to Curacautín, Malalcahuello and Lonquimay. From Temuco to Malalcahuello is 118 km on paved roads, and from there to the Ski Resort is another 10 km by gravel road. The ski season is between the months of July and October.